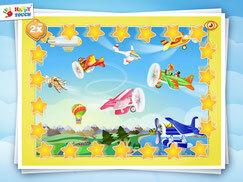 We proudly present the first part of our big puzzle-series: "Airport & Planes"! Here it's all about the exciting world of aircraft. Start your journey right now! Download for iPad/ iPhone/ iPod Touch.